London, Standard Chartered launches its G7 to E7 Trade Performance Index (Index), which examines the trading partnerships of the G7 with E7 (Emerging Seven) economies – Bangladesh, China, India, Indonesia, Nigeria, Pakistan and Vietnam. The UK, US and France stand to realise the greatest gains if they can fulfil their E7 trade potential. Germany tops the performance table as the only country to currently exceed its total E7 trade potential. The Index reveals that G7 nations and companies are underperforming in their export trade to the E7. Of the 49 trade routes between individual G7 and E7 countries, only nine currently exceed or meet expectations. The remaining 40 trade routes underperform by a total of US$162 billion against their export potential. This constitutes a 30% annual growth opportunity for the G7 to the E7. The E7 represent a critical highway to future growth for the G7 in 2018 and beyond. * The Index ranks the G7 countries by their actual export trade performance relative to their predicted exports to E7 countries. Countries are ranked higher on the Index if their actual export for each E7 trade route exceeds export potential, while they rank lower if their actual export for each trade route does not meet the predicted export. Michael Vrontamitis, Head of Trade for Europe and Americas, Standard Chartered: “With membership of the G7 no longer being a passport to growth, the Standard Chartered G7 to E7 Trade Performance Index reveals real growth opportunities. Every G7 nation has much to gain from accelerating their export performance in the seven economies we have identified as the Emerging Seven (E7). UK exports to the E7 could potentially increase by US$16.9 billion to US$64.9 billion when the country leaves the EU. While the EU remains a critical trading partner, UK businesses could capitalise on export opportunities with all E7 countries. The US is currently the largest exporter to the E7 overall, but it is falling below potential by over a quarter (28.3%). If the US makes the most of all E7 trade, total exports would rise by 3.1% – an extra US$46.1 billion a year. France has much to gain from trading with the E7. It is exporting a quarter less to the E7 than its potential and could grow overall exports by 2.4% by meeting predicted exports to the E7, representing a US$12 billion-a-year uptick. Italy could experience a 2.5% uplift in exports, or US$11 billion annually, if it makes the most of the opportunities in the E7. The Italy to China route could see an extra US$7.3 billion of annual trade – the fourth biggest economic opportunity of all 49 trade routes. Japan has significant opportunities in the E7. Japanese businesses could increase exports to the E7 by US$69 billion, which would give the entire economy a 10.7% boost. The Japan-China trade route has the biggest G7 to E7 opportunity by value. Canada takes current second place in the G7 to E7 trade race, but it falls below predicted trade by more than a quarter (28.6%). Its annual total global exports could grow by 1.7% by maximising on E7 trade. Germany is the greatest G7 to E7 success story. It exceeded its total predicted value of trade with the E7 – exporting US$109 billion – double what is predicted. However, Germany could be at risk of over-reliance to one market – China. G7 to E7: The Standard Chartered Trade Performance Index reveals the size of G7 goods export opportunities in the seven identified emerging markets — Bangladesh, China, Indonesia, India, Nigeria, Pakistan and Vietnam — coined the E7, representing a total of 49 exporting relationships. It does so by incorporating key export considerations – including market size, geography, cultural variables and regional trade status – into a gravity trade model. This model reveals annual total export potential for all 49 exporting relationships. Given current exports levels, the difference was calculated between potential and actual exports. A positive difference indicates export opportunity for a given G7 country. These opportunities are ranked based on standard deviation from the mean. The consequences of Brexit for UK exporters were considered by controlling for membership to the European Union and leaving all other things equal. This enables the development of a model of UK export potential to each E7 market with and without EU membership. The model excludes assumptions on potential Brexit outcomes, trade negotiations and any UK specific deals. It reflects only the trade-diversion that takes place from being inside the EU customs area. The model can be applied to any EU country and is not specific to the UK. 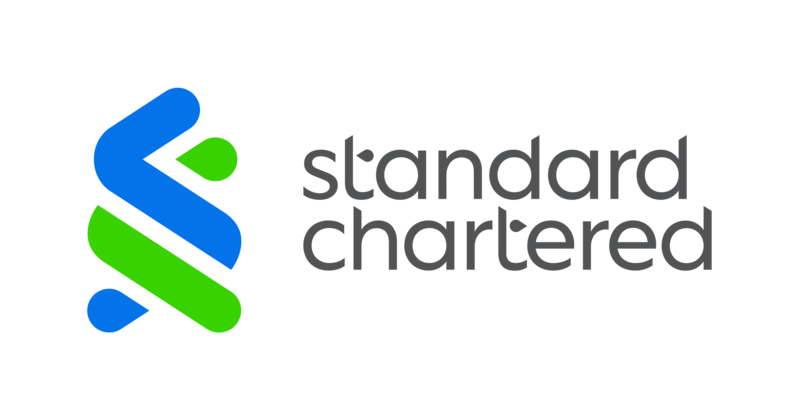 Standard Chartered partnered with Oxford Analytica, an independent macro analysis consultancy to conduct the study. We are a leading international banking group, with a presence in 60 of the world’s most dynamic markets, and serving clients in a further 85. Our purpose is to drive commerce and prosperity through our unique diversity, and our heritage and values are expressed in our brand promise, Here for good. Standard Chartered PLC is listed on the London and Hong Kong Stock Exchanges as well as the Bombay and National Stock Exchanges in India. For more stories and expert opinions please visit Insights at sc.com. Follow Standard Chartered on Twitter, LinkedIn, Instagram and Facebook. © Standard Chartered 2019. All rights reserved.